This book is a great, short primer on addressing racial issues in the United States. Yancey and Emerson focus primarily on the tension between blacks and whites, so, it is not quite universally applicable. The core thesis of the book is that (i) proposed solutions to racial tensions fall along a spectrum of majority-group obligations (i.e. what whites need to change) to minority-group obligations (i.e. what people of color need to change) and (ii) most of these models fail because they fall too far to either ends of the spectrum. In place of these failed models, Yancey and Emerson propose a new, centrist model called the “mutual-obligations” approach. The basic contention is not all that controversial: white people and people of color have to agree on the solution if said solution is going to be successful. Saying that whites need to fix the broken system that we have created and benefitted from will not work because (i) it creates an unnecessary sense of powerlessness among people of color and (ii) heck no, we like our white privilege. Saying that we need to all just be colorblind will not work because (i) it allows the very real systemic problems to be ignored and (ii) it devalues the uniqueness of culture. Thus, Yancey and Emerson suggest that each group has obligations to the other if there is going to be long lasting reform. To evaluate this empirically, they analyze (through interviews) successful interracial communities: the U.S. military, interracial churches, and interracial marriages. In all of these cases, there was a “critical core” identity around which the communities aligned themselves and for which they sacrificed their self-interests. In interracial churches, the interviewees expressed a common identity in Christ and need of His grace – truly an equalizing factor unlike any other. Because of this, they did not let their station as white or black influence how valuable they saw others that were unlike them. (Historical note: this has been a defining part of the church since its founding. The absolute scandal in the 1st century Mediterranian culture was that people of all social strata would participate in worship. Slaves and owners, while treated differently by their peers were equal before Christ. There is some speculation that this factored into later abolitionist movements, but, I’m not versed enough on the topic to speak intelligently one way or the other). Moreover, these churches allowed for self-reflection on the part of the leadership because they had to make decisions about conducting corporate worship in a ways such that it was mindful of all of the cultures present. The members of the church benefitted from communing with members of different backgrounds and expressions of faith. My favorite interview was of a Japanese-American who talked about how he adjusted when greeting Latino members of his church. He was shocked and uncomfortable the first time that he was greeted by a stranger with a hug where in the same situation, he would have used a simple handshake. Yet, he learned that in their culture, cold handshakes are considered distant and aloof. I identified with this man’s story because the first time I met Ada’s family and friends, they looked at me like I was performing a professional business transaction. In fact, before Ada and I started dating, I don’t think I ever gave her a hug but maybe once or twice. It was also in these close, interracial communities that honest discussions about race relations can be had. If the environment is not political and you know the other person is not against everything you hold dear, it allows for more open conversation. Indeed, this was what helped me, as a white guy, to start to see things differently. My exposure to racial tension had always been through angry liberals in protests and it was easy for me to dismiss their opinions just like it’s easy for everyone to dismiss opinions of people you don’t relate to. But, a few years ago when I started hearing some of the same concerns being calmly stated by conservative black Christians who I respected, it was easier to accept that there might be more to the issue. Indeed, Yancey and Emerson point out this effect in interracial communities: whites began to be more aware and sympathetic to the difficulties faced by their brothers and sisters of color. Interestingly, in interracial marriages, the white spouse would show changes in their attitude toward racial tensions but the spouse of color would not. Also interestingly, the white spouse did not show a substantial increase in their socioeconomic status as a result of the marriage, but the non-white spouse on average did increase their socioeconomic status after the marriage. There are several more interesting anecdotes and empirical results of interracial communities. The main point of this book is fairly simple: common goals, mutual obligations. I definitely recommend it if you are interested in racial tension in the U.S. and are unsure of where to start. It’s a short read, not overly ideological, and there are 15 pages of references at the end for further reading. 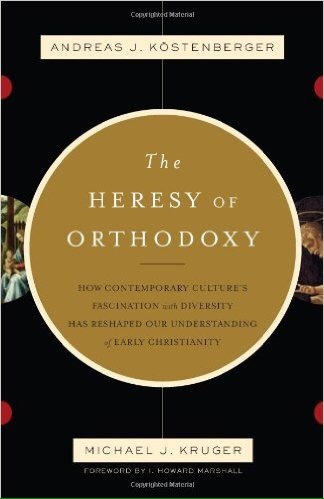 Book Review: Is There A Synoptic Problem? There is a lot of good and a fair bit of “meh” in this book. 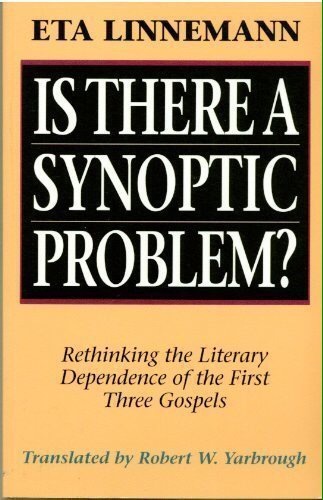 Linneman’s main thesis is that current scholarship’s obsession with the Synoptic Problem and, by extension, the two-source theory is unwarranted. Then, she defends the litereary independence of the Synoptics. At the start, she surveys several modern NT textbooks that blithely assert (without argumentation) the literary dependence of the Synoptics and the use of Q by MT/LK. This area stands out as she effectively shows that modern scholarship is effectively indoctrinating students with the two-source theory. This critique is also shared by Mark Goodacre (who actually thinks the Synoptics are literarily dependent). He and Linneman both argue that the Synoptic Problem is taught through the lens of the two-source hypothesis without proper attention given to the data that need explanation. It is to this question that Linneman turns in Part 2 of the book. Here, she provides an extensive quantitative analysis of the parallels that supposedly demonstrate literary dependence. While her work is extremely valuable, I did not find her analysis overly convincing. For example, she would argue along the lines “We are expected to believe that Luke only found 28% of his source material from Mark valuable enough to retain verbatim which is absurd!” Granted, this is about the same caliber of reasoning used by the folks that came up with the two-source hypothesis. However, I think Linneman should have done more statistical analysis. Admittedly, I am an engineer, so, something like “On the hypothesis of literary dependence, we find a p-value of 0.036 for this pericope” would be much more convincing. Linneman thinks she has definitively shown that the literary dependence hypothesis is absurd and untenable. I do not find her argumentation that persuasive; however, I can say that her work has switched me from leaning towards the two-source theory to leaning slightly towards literary independence. YMMV. The other weak area is at the end where she attempts to construct a plausible theory of how the Synoptics originated. I do not think that she substantially interacted with the objections to (a) the reliability of the patristic fathers nor (b) the Aramaic origins of Matthew. I think she could have been a bit more critical. Lastly, I understand that she perceives historical-criticism as parasitic to Christian belief; however, I found her style to be unnecessarily polemic. Once I got used to it, it was fine to read; however, people who are already hostile to her position will not find the style to be any more comforting. I get the impression that may be an unnecessary barrier to interacting with her detractors. Overall, this is a good read. It’s a great example of how conservative scholars interact with and take liberal scholarship seriously even when not reciprocated. Recently, there was a debate on the topic “Does God Exist?” at Western Washington University (WWU). The participants for the negative were Dr. Valerie Tarico and Bob Seidensticker (of the Cross Examined blog). The participants for the positive were two professors from Seattle University. Dr. Mark Markuly, Dean of the School of Theology and Ministry, and Rev. Mike Raschko Ph.D, professor of Catholic Systematic Theology. My evaluation of the debate will be broken into three parts. First, a quick summary of the main arguments and counter arguments. Second, a few technical comments on the debate. Third, my analysis of the arguments presented. The debate was structured as follows.